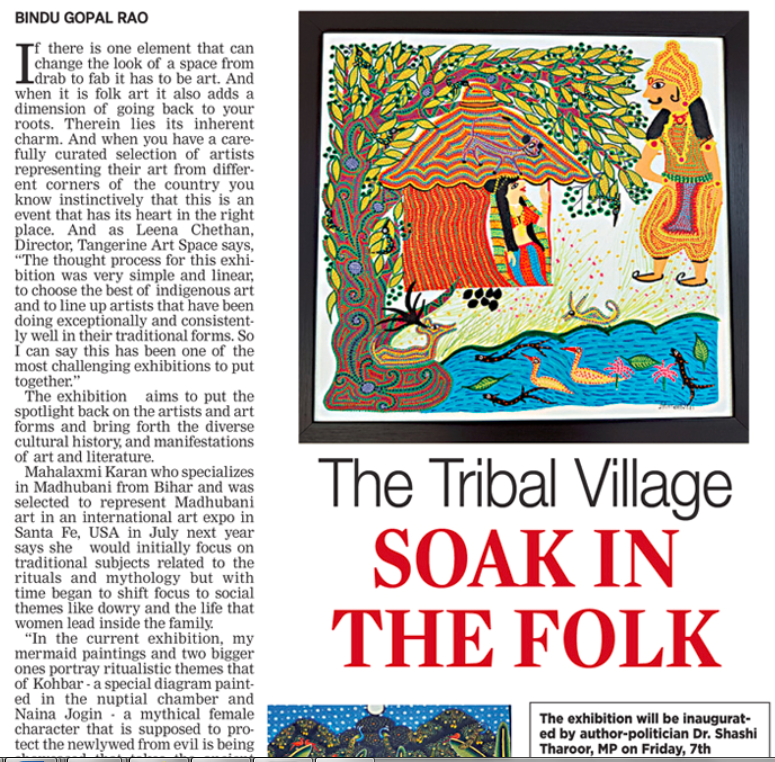 ‘A Mythical Equation’ by Tangerine Art Space an exhibition of indigenous, tribal and folk art is all things folk. If there is one element that can change the look of a space from drab to fab it has to be art. And when it is folk art it also adds a dimension of going back to your roots and probably therein lies its inherent charm. And when you have a carefully curated selection of artists representing their art from different corners of the country you know instinctively that this is an event that has its heart in the right place. After all as Leena Chethan, Director, Tangerine Art Space says she has worked the hardest to put this show together. “The thought process for this exhibition was very simple and linear, to choose the best of indigenous art and to line up artists that have been doing exceptionally and consistently well in their traditional forms. So I can say this has been one of the most challenging exhibitions to put together.” The exhibition will be inaugurated by Dr. Shashi Tharoor on Friday, 7th December with Dr. Tharoor discussing his new book ‘The Paradoxical Prime Minister’ and the conversation will be facilitated by Anil Srivatsa and Leena Chetan. The exhibition also aims to put the spotlight back on the artists and art forms and bring forth the diverse cultural history, and manifestations of art and literature. 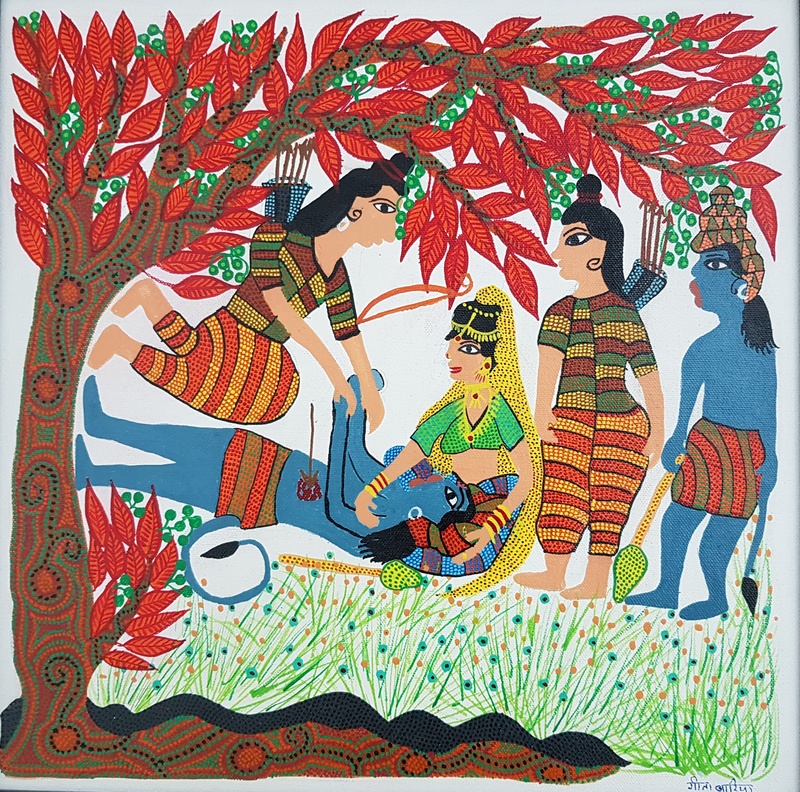 Mahalaxmi Karan who specializes in Madhubani from Bihar for instance selected to represent Madhubani art in an international art expo in Santa Fe, USA in July, 2019. “Initially I would focus on traditional subjects related to the rituals and mythology but with time I focus on social themes like dowry and the life women lead inside the family. In the current exhibition, my mermaid paintings and two bigger ones portraying ritualistic themes that of Kohbar- a special diagram painted in the nuptial chamber and Naina Jogin – a mythical female character that is supposed to protect the newly wed from evil is being showcased that takes the ancient cultural legacy of painting forward.” She focuses on the line tradition uses intricate patterns done by way of hatching by fine nibs. The show will bring together a selection of these artists’ works from all across India, celebrating local interpretations of the Epic Ramayana and showcasing the vibrant imagery and eloquent visual narrative that accompanies such storytelling. Venkat Raman Singh Shyam a Gond artist from Madhya Pradesh was just eight years when he started. “I joined my Uncle Jhangarh Singh Shyam (an illustrious artist) who was in a way a pioneer of Gond art. Art should be able to speak for itself and there should never be a gap in understanding the art. In that sense art should be alive and interactive which is what I focus on.” In fact it was his urge to explain his art the way he understood it that prompted him to write a book ‘Finding My Way’ that also has 190 of his drawings. In fact while most people confuse the Gond art with Madhubani, Venkat says that today Madhubani artists are being inspired by Gond and have started to use Gond patterns styles like semicircles and Gond motifs in their paintings. Kalyan Joshi, a Phad artist from Rajasthan a President awardee and third generation artist avers, “this art is 700 years old and we still use natural pigments and traditional canvas as before. While there is no change in medium we have some new subjects.” With distinctively lyrical lines, expressive forms and subtle natural colouring and Geeta Bariya & Kamta Bhil’s colourful paintings of the Bheels will also be on display. And all the art here is straight from the origins so you have a work that speaks the story of the place from where it originates. 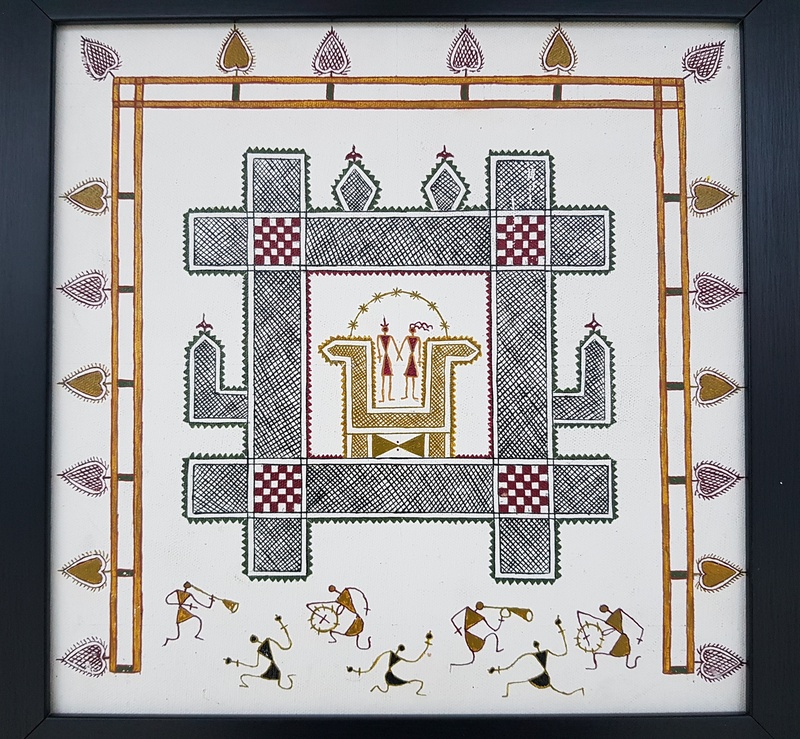 As Anil Chaitya Vangad, a Warli art from Maharashtra says, “we focus on showcasing a slice of village and tribal life through our paintings and when I paint for causes like ‘save the earth’ or ‘save the trees’ it gives me immense satisfaction too.” Now that is what art with a heart is for sure.